these products do we use regularly and how many are disregarded to the bottom of the pile all forgotten about and will probably never get used. I know I am guilty of this , and fully admit it, but there are some products that I have found I can't live without and this consoles me in a way. I would never have found them if I was savvy and never ventured into unknown territories, trying out products that I wouldn't normally go for. Ok, there my not be loads of products here but these made the list after deliberating for a lengthy period. I wanted products that would stand the test of time and would firmly be in my make up/skincare routine for a long time to come. Nars Laguna needs no introduction at all, a firm favourite with most beauty bloggers. This bronzer has changed the way I do my make up. I use it mainly for contouring by applying it in the hollows of my cheeks, on my temples, along my jaw line and sometimes down the sides of my nose. The colour is just perfect for creating a natural shadow on the skin, not orange at all, this bronzer is in fact quite cool toned. I want to say grey but I don't want to scare anyone that hasn't used it into thinking this is going to make them look like a corpse! The colour is perfect for me and I am mortified that I have hit pan so will be repurchasing this very soon so I don't want to run out! Bobbi Brown Under Eye Corrector in Light Bisque is only something I have discovered recently. I kept hearing about it and was put off by the £18.50 price tag for such a small product. After trying lots of other products that just seemed too heavy and would crease on my skin, I decided to bite the bullet and go to my local counter to be colour matched. After my first use I realised what I had been missing. The product is very solid in the pan and works best when worn over an eye cream, instantly blending away dark circles with ease. The concealer does not crease on me or sit in any fine lines and lasts nearly all day. It literally takes seconds to dab a bit on and you look like you have had the best night sleep! Even with my first reservation about the price tag this product will last ages and you I will definitely get my money's worth out of it. Clinique Bottom Lash Mascara has been a firm favourite of mine for some time and I have in fact repurchased it already. I find that most mascaras smudge and flake on me and I end up with panda eyes at the end of the day. This is brilliant, it separates my bottom lashes, lasts all day without smudging and is so easy to use because of the teeny dinky wand. I L-O-V-E it and use it every day and will continue to do so for a long time. Origins Super Spot Remover is my go to product for when I get a visit from a pesky spot. I use it at night as it creates a film over the spot that can look dry and flaky under make up. The gel formula calms down the spot and diminishes it quickly within a few days. The good thing about this product is it doesn't dry out my skin and leave a horrible "halo" mark around the spot once the blemish has gone. Definitely will be repurchasing this since it has run out. 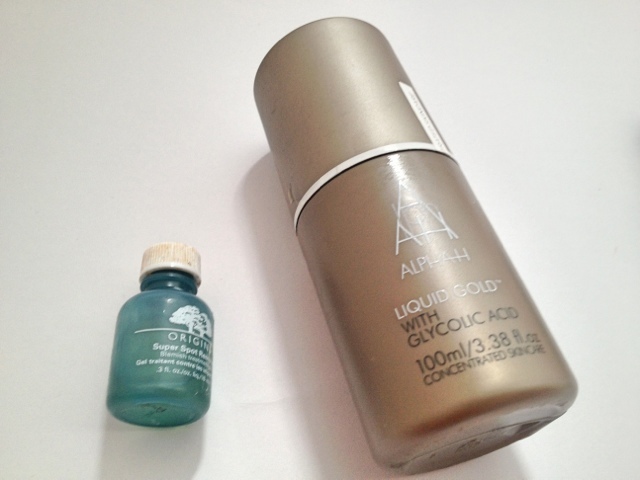 Alpha H Liquid Gold is one of my best finds this year. It has changed my skin, making it more radiant, more even and reduced the appearance of lines on my forehead. It contains Glycolic acid which breaks down the dead skin cells. Used at night a couple of times a week it reveals a younger looking and more radiant complexion. You can read my full review here . What do you think of my products that have made it to my list? What products would you repurchase? pssst..... Have you entered my Mac Crème Cup Giveaway ? 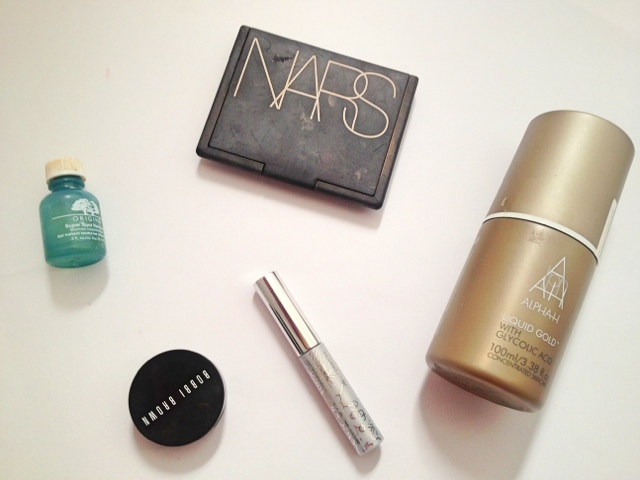 Oh great post, I need to re purchase nars Laguna and i really want cliniques bottom lash mascara! Nars Laguna is amazing. It just can't be disputed. Love your blog. 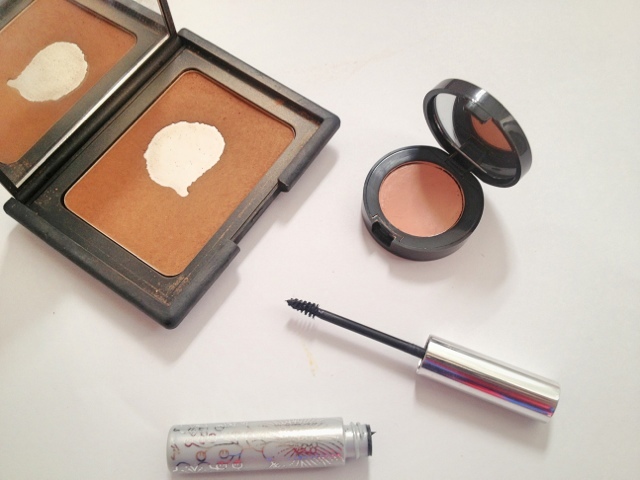 Great post :) Nars laguna is one of my all time favourites!